Each modern website needs a high quality web hosting with PHP and MySQL support for the reliable work. In our days PHP language is one of the most popular language for web development and MySQL is one of the best database. These technologies allow to create a site according to the final demands. 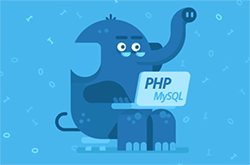 Using hosting plans from HyperHost you can enjoy all the benefits of PHP / MySQL hosting. We offer reliable and trouble-proof hosting with php & mysql support. HyperHost - it is not only the best paid hosting it is also the cheapest hosting. The cheapest plan is 1$ monthly. Do you need to turn on php ini on web hosting or are you looking for php files? All these options are available at our hosting plans. We use only high-speed SSD drives, so we get the best as possible MySQL performance. Your web projects will start work faster than on similar HDD-disks. How to install PHP to Hosting? If you need some help with website transfer just contact our tech support. We work all around the clock without weekends and glad to assist you with any questions about php and mysql. We'll help you to change php on web hosting and tell you how to use ftp access. You can easily use Hyper Host even if you are newbie. Our hosting with php will make your project faster on the Internet.